Coverage: Updates on BBC Radio 5 live, Live text commentary online, mobile, the BBC Sport app and Connected TV. West Ham manager Sam Allardyce says "there is no coach more sophisticated" than him in the Premier League. Allardyce, 60, has guided the Hammers to eighth place in the top flight before Wednesday's trip to Southampton. "I don't think there is any coach more sophisticated than me any more," said Allardyce. "That's not trying to criticise any other coaches. "But there is only Arsene Wenger who has done it longer than me. I'm just as good as everybody at this stage." Arsenal boss Wenger has been in charge since September 1996, with Allardyce first managing in the Premier League with Bolton in 2001. Allardyce was under heavy pressure at Upton Park a year ago after a run of bad results and criticism of his style of play, but has turned their fortunes around. His criticism of Manchester United's "long-ball" tactics in the 1-1 draw at the weekend led to United boss Louis van Gaal defending his style of play with documents in his news conference on Tuesday. 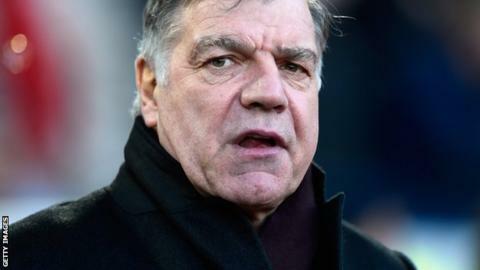 West Ham face another Dutchman on Wednesday in the form of Saints boss Ronald Koeman and Allardyce, who has managed Bolton, Newcastle, Blackburn and West Ham in the Premier League, believes he deserves respect for his record. He said: "They may well have gained more experience by managing abroad, like Louis van Gaal, Ronald Koeman and people like that, but in this country, with the experience they've got, I don't think there is any coach that would be in that position [of being more sophisticated than me]. "That comes from the amount of time you do in the job, how much experience you gain in the job and how much knowledge you strive for on a regular basis to keep the cutting edge. "The cutting edge is what's new in football, what's the next level, where is it going to be, how can you find it, how can you implement it into your club? "I've always been that way inclined. I've never stood still and it's probably why I am still here managing in the Premier League for the last 13-14 years." In 2010, while manager of Blackburn, Allardyce said he would be able to take charge of the biggest clubs in Europe. "I would be more suited to Inter Milan or Real Madrid," he said. "It wouldn't be a problem for me to manage those clubs because I would win the double or the league every time. "Give me Manchester United or Chelsea and I would do the same, it wouldn't be a problem."